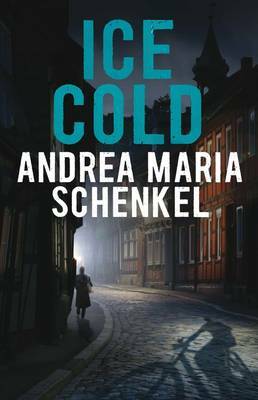 ICE COLD is the second novel by the acclaimed author of THE MURDER FARM; both novels have won the German Crime Prize in consecutive years. ICE COLD tells the story of a serial killer in the Germany of the Weimar Republic. The book opens with the execution of Josef Kaletis, and the rest of the book tells the story of events leading up to that point, from the perspectives of several different people either directly involved in the story or as witnesses to various parts of it. As in the earlier novel, the various voices are signified by different typefaces. This grim tale is told amid lives of extreme poverty and ignorance, with the political propaganda applied to the population by the government always in the background. The atmosphere of working class Munich is well-conveyed, reminding me of L'Assommoir and Nana in Emile Zola's Rougon-Macquart series, which explored poverty and squalor in Paris 50 years before the events of ICE COLD. Andrea Maria Schenkel conveys vividly the hopes of the young Kathie, a farm girl who escapes her boring village and strict parents to start a new life in the bright city. On arrival, Kathie's aspirations are immediately dashed, as both families to whom she at first turns are struggling themselves, each having to let out their meagre spare room to lodgers to make ends meet. Cast off on her own, and seemingly with little education, intelligence or common-sense, Kathie soon falls in with some men who spend their time drinking and who have wives at home. This novel is vivid, bleak and short. It is also very graphic: in unsensational terms it describes in considerable detail horrific violence in passages I wish I had not read. The novel certainly has power, and the story of the murderer (ignorant, violent and yet passive when confronted by authority) and his victims, as well as the other characters, is starkly memorable, not least because of the ability of the author to convey experiences from her characters' perspectives and with their emotions.